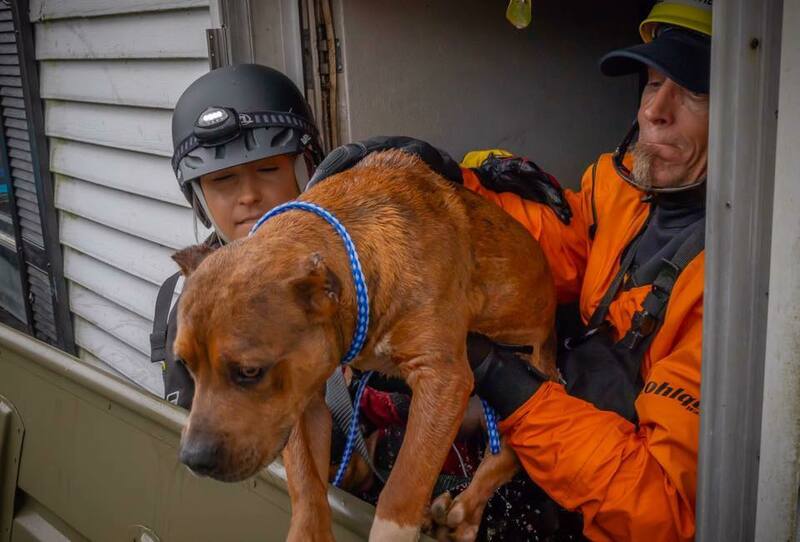 One can only imagine the emotional trauma a dog must have endured trying desperately to save himself from drowning in his flooded home. 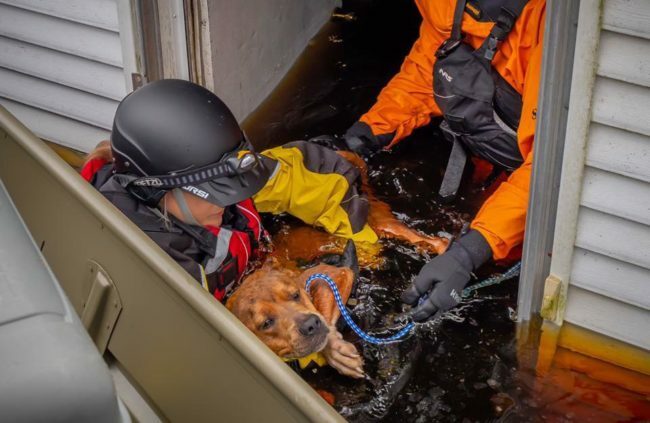 When found by rescuers, the dog had been using another dead dog’s body as a float – just trying to survive. 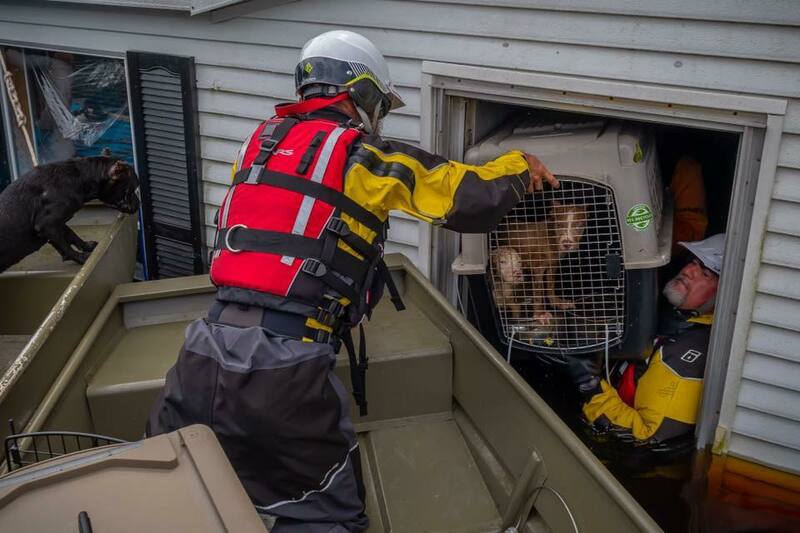 While flooding conditions, as a result of Hurricane Florence have continued, so have the efforts of the American Humane Rescue. 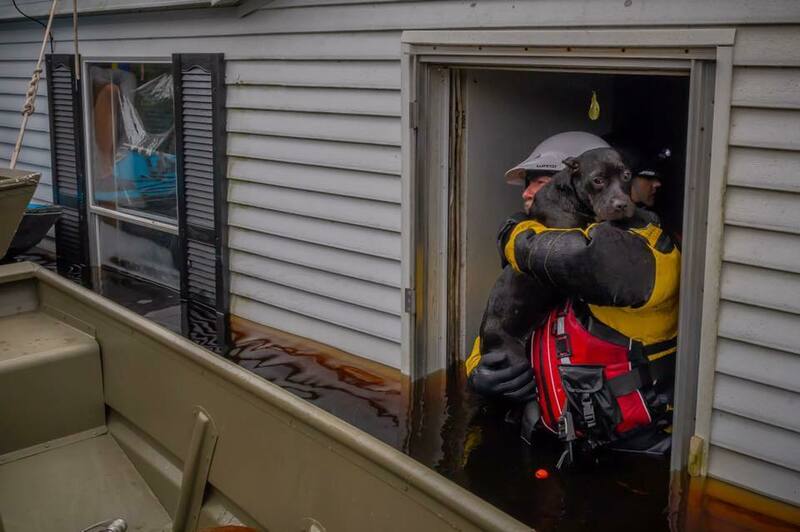 On Monday, rescuers received a call from a Good Samaritan telling them that sounds of dogs barking had been coming from a flooded, abandoned home. 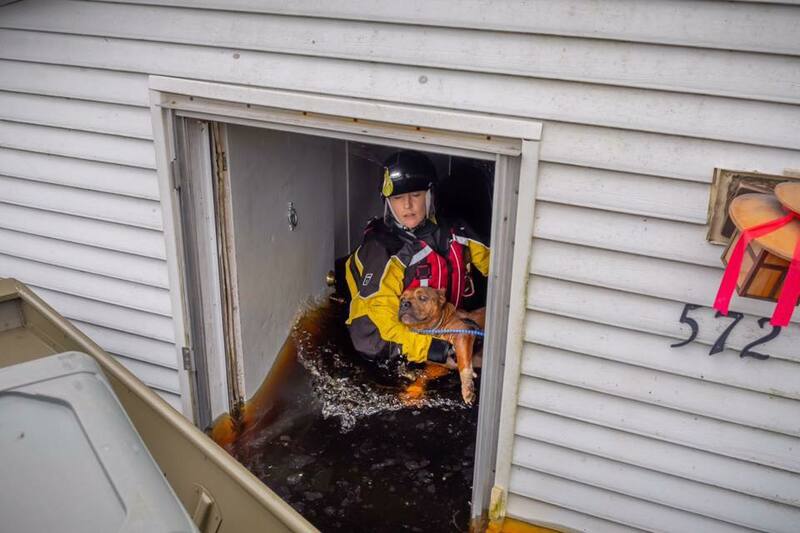 Two boats arrived – three members of the American Humane Rescue and one member of Code 3 Associates were immediately dispatched to help. 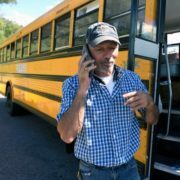 According to Kenn Bell, who videoed the entire rescue effort, described the rescue as the most dramatic scene he had ever been involved. “They walked through darkness and chest deep water following the sound of the barking. 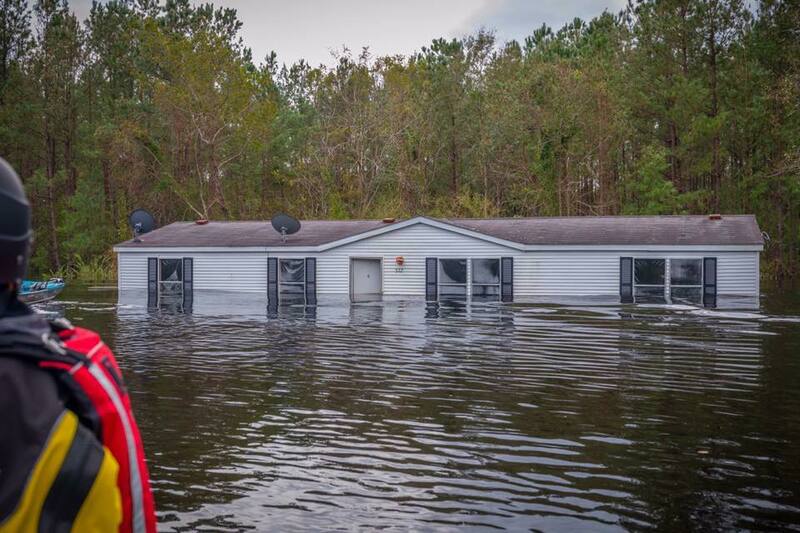 They opened an interior door and the horrid smell of feces and urine in the water hit them hard,” Kenn wrote on his social media page. At that juncture, the first dog was spotted. 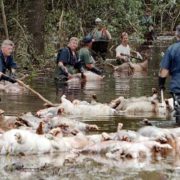 The dogs had spent five agonizing days in flood water trying to keep themselves alive. 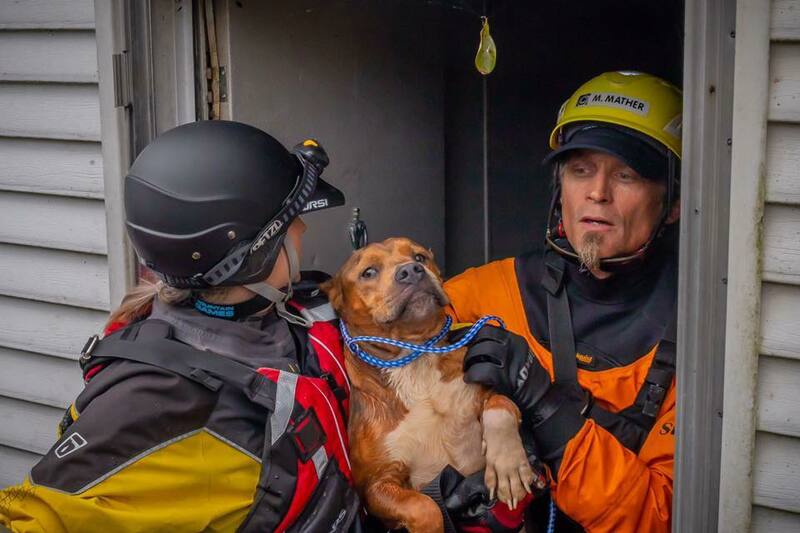 As the second dog was lifted into the rescuers arms and gently placed on the boat, his bowels released; he was sick and had diarrhea which made it more difficult for the team leader, Josh to get the rest of the dogs and their crates into the safety of the boat. Many people have asked what will happen to the dogs and if they will be made available for adoption. Under North Carolina law, stray dogs must be held 14 days and if the owners do not claim them, the dogs will be made available. “If the story touched you and you want to help, go to your local shelter RIGHT NOW and adopt one of the millions of dogs that weren’t as lucky to be made famous by a post on Facebook. Some have been sitting here for years. 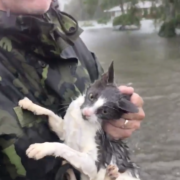 Many will die if no one adopts them,” Kenn updated the news of the rescue on Tuesday afternoon. Many thanks to the team consisting of Team Leader Josh Cary, Amber Batteiger, Mike Mather and Jerry Means. And that friends are the angels out here saving the lives of those who cannot speak. To make a donation to the American Humane, please click here. Yesterday in the news: Dog found abandoned in basement may have been there since February – the storyhere. Good news! Judge cancels grizzly bear hunt – more here. This little dog is a hero! I hope the owners of these dogs are prosecuted, they deserve to be. Sounds like a dog fighting ring in the making or the people are supplying the dog fighters with dogs even if they themselves are not doing the dog fighting. Please delve into this further! Ok wait. So some of these dogs drowned because the owners abandoned them in their cages. Right? I hope to god these people will find themselves charged. Not to mention the butchery to their ears etc. Many prayers and blessings to the dogs, rescuers and caregivers! You are all angels! I pray the wrath of God finds these dogs’ owners with their ears being BUTCHERED, lock them up in a cage, put them in sealed building and flood it. Walk away and leave them suffer the SAME fate they FORCED on these innocent dogs. I pray this because North Carolina animal welfare is NON-EXISTENT. I pray these rescues and workers are blessed a 100000 fold for their tireless humanity. Find those F*KWADS responsible, and FRY ‘EM! Prayers for those needlessly lost, and for those saved – that they may find loving, forever homes! 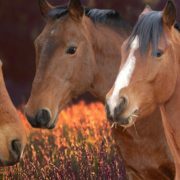 Wheres HSUS (Humane Society of the United States)? Nowhere…why? Because they don’t help. Their ads make you believe they rescue pets but in fact they use the donated money for themselves and legal stuff to pass laws to stop breeders from breeding. 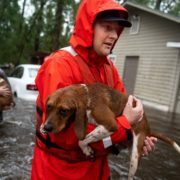 They took part of a reputable groups name (Humane Society) and added “of United States” to make people believe they help animals like the Humane Society when they dont! 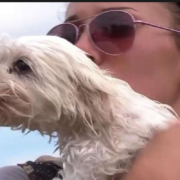 These people who abandoned their pets needs prosecuted and anyone who wants to donate to help the real people caring for these rescues such as your local dog pound and Humane Society. Not HSUS! HOW VERY RIGHT YOU ARE::: THEY also PAY SALARIES in the HIGH FIGURES to CEO : PRESIDENT: ETC! AS ;you sad THIS IS A SCAM::: the Same with HS INTERNATIONAL they ARE OVERSEAS GATHERING dogs for meat, dogs in China, Tibet, South America, Islands in the Greek, Turkish , African Countries, to Bring back for adoption in THE USA!! 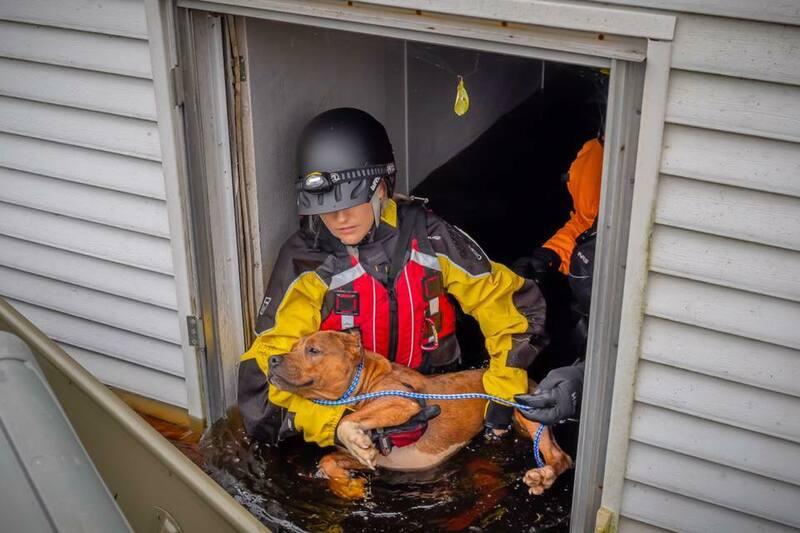 !WOW and the Poor dogs rescued here are being EUTHANIZED!!! WTF is wrong with this PICTURE!!!! Find and arrest these scum owners and prosecute them for what they did to these animals. Probably dog fighting home and that should also be investigated. Hope all the animals find good homes. The owners of these dogs ought to be charged and never allowed to ever own a dog or any other animal again.